There's a special Dragon Quest PS Vita coming to commemorate the release of Dragon Quest Builders on January 28th in Japan. And it's probably one of the cutest Vita systems we've ever seen. 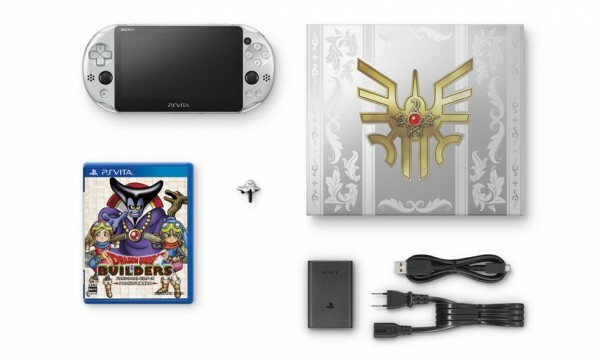 The bundle will run about 25,980 yen and will include PlayStation Vita with a special Metal Slime design and theme pre-installed, a copy of Dragon Quest Builders for PS Vita, USB cable, Metal Slime earphone jack charm, AC adapter, power cord, and a manual. It's svelte and silver, and a great-looking system, with black analog sticks and silver-toned face buttons. Even the box it all comes contained in is cool! Preorders are available now at the Sony Store, but like the game itself, there's not yet been any sort of Western release confirmed.